Home » Articles » What Does Your Team Need? Several years ago, an EVP of a Fortune 100 company pulled together a team of HR directors from across several divisions. Their assignment was to develop and implement a new HR process across the organization. The problem? Vague goals and unclear direction. A product team for a large multinational company was in the process of launching two new products in North America and Europe. In the wake of a recent restructuring, the 18-member team struggled with divided loyalties and new pressures. Communication was poor, meetings were unproductive and progress stalled. Competition was fierce among the functional and business unit leaders that made up a senior team in the global firm. Team members wanted to be on the team because of high exposure, but none of them wanted the other team members to interfere in their own divisions or functional areas. With low trust and high competition, conflict and dysfunction ruled the day. Each of these teams faltered — but each was able to recover. Team charter. Are overall objectives, resources and constraints defined and clear to all team members? Goals. What are the measurable team outputs and related milestones? Team norms. What standards of behavior do team members agree to? How will they handle routine issues, such as how work is divided or how disagreements are to be resolved? Team norms also help members address unexpected or complex situations. Task performance strategy. What is the overall approach the team will take and what key actions are needed to achieve goals? Shared understanding. Do team members have a common perspective? What key assumptions may affect performance? Teams can be easily tripped up by different beliefs about the challenges the team faces, the tools or resources available or the desired working relationships among team members, for example. Team memory. What relevant knowledge, information and skills do team members have or can access? What gaps exist? Monitoring output. How does the team track and communicate progress? Monitoring systems. What methods or resources are available for tracking people, budgets and information – and for keeping up with stakeholders, markets or other external factors? Coordination. How does the team prioritize and sequence key activities and events? Communication. Do team members communicate openly with each other? Does the team experience a high-quality exchange of ideas and information? Monitoring team behavior. How is feedback given to team members? Maintaining boundaries. How and when does information flow with other groups or units? Motivation-building. Do team members have a sense of personal accountability for performance? Is the team cohesive and motivated? Psychological safety. Is there a sense of trust on the team? Are team members able to speak their minds, knowing they will be respected and listened to? Emotion management. How does the team handle emotions? Setbacks, frustration – even overconfidence – can cause an emotional strain among team members. Conflict management. Do differences of opinion prevent the team from meeting its goals? Does the team allow healthy debate while avoiding personal attacks or acrimony? This article is based on “Developing Team Leadership Capability,” by Frederick P. Morgeson, Dennis Lindoerfer and David J. Loring in The Center for Creative Leadership Handbook of Leadership Development, 3rd Edition, and CCL’s Leading Teams for Impact program. 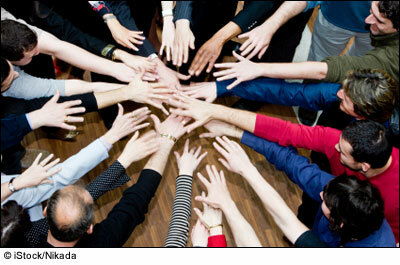 Look for more “Leading Teams” tips and activities in upcoming issues of Leading Effectively.